Ouch! Tooth pain and sensitivity are both signs that you may have a cavity. Tooth decay, cavities, only worsen if left untreated and can result in significant damage to your smile. Dr. Holmes, Dr. Revel, and Dr. Lowry apply white, composite resin fillings to restore teeth marred by decay or damage and give patients back their strong, healthy smiles. 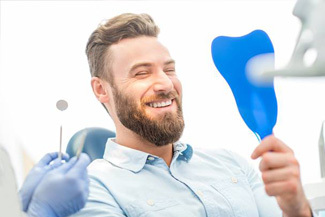 At your checkup or dental exam, our Pasadena Family Dentistry team will check each of your teeth for decay and assess your existing dental work for wear. If you have a cavity, we’ll gently prepare your tooth and then apply durable composite resin that’s been tinted to match your existing smile. We can also replace your dark, metal fillings with all-white, composite resin ones. White fillings form a seamless bond with teeth and provide lasting strength and protection against decay. Plus, they look great! 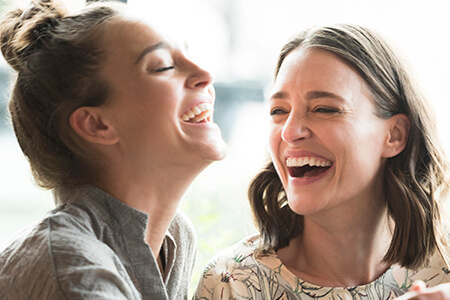 If you’re interested in learning more about tooth-colored fillings, feel free to ask during any dental appointment with our team, or call Pasadena Family Dentistry to schedule a visit with our dentists and carding dental team today. Tooth-colored fillings are crafted from high quality composite resin. This putty-like resin material is made from a combination of glass and plastics that are precisely shaded to match your smile. Once in place, this highly biocompatible material blends seamlessly into your smile and strengthens your damaged tooth. Greater preservation of healthy tooth structure. Amalgams require a small amount of tooth structure be removed to create wedges that hold the filling in place. Composite fillings form strong, natural bonds with your teeth, allowing you to maintain the maximum amount of healthy tooth structure. Amalgam metal expands and contracts at a higher rate than teeth, so it can cause cracks in the remaining tooth structure, break away from the tooth, or allow bacteria to accumulate leading to further tooth decay. For some people, amalgam metal fillings can lead to dental sensitivity when patients eat or drink hot or cold foods or beverages. Tooth-colored composite resin fillings are placed in just one visit to our office. We begin by numbing the area around your damaged tooth or teeth. Then, we remove any damaged tissue. An etchant material is placed onto the tooth to create a more porous surface, so the filling material can form a stronger bond with the tooth. Next, the tooth-colored filling material is placed directly onto the prepared tooth. We shape the filling into place, and a curing light is applied to harden your tooth-colored fillings into place. Once you’ve had a tooth-colored filling placed, you should keep up with your twice a day tooth brushing and daily flossing as well as biannual appointments with our team. 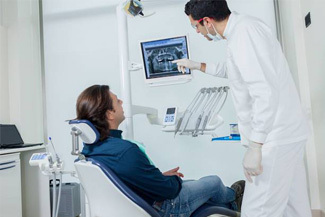 This ensures your repaired smile will remain healthy, and you’ll avoid more cavities. Our team may want to review your oral hygiene products to ensure you’re not using anything that will create unnecessary wear to your smile. We recommend soft toothbrushes and minimally abrasive toothpastes. Some patients may also need to switch to waxed floss to avoid snags or pulling when flossing. At your twice a year dental appointments, we will examine your filing for signs of wear or shifting. In most cases, we can repair a damaged filling on the same day you visit us.